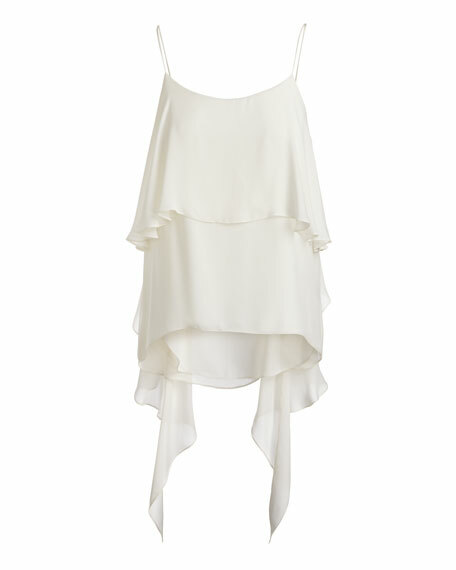 Alice + Olivia "Maribel" chiffon camisole. 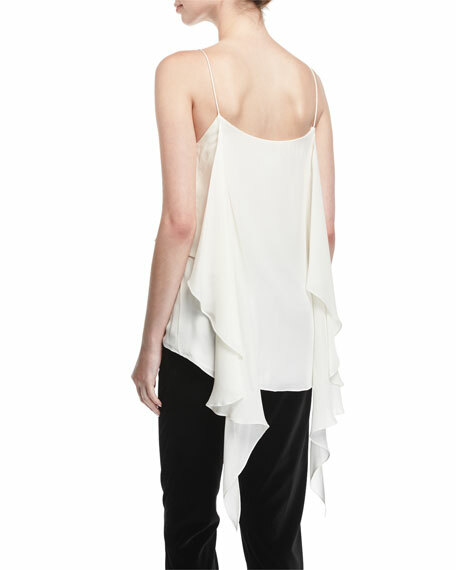 Asymmetric overlay drapes at back. For in-store inquiries, use sku #2326880.